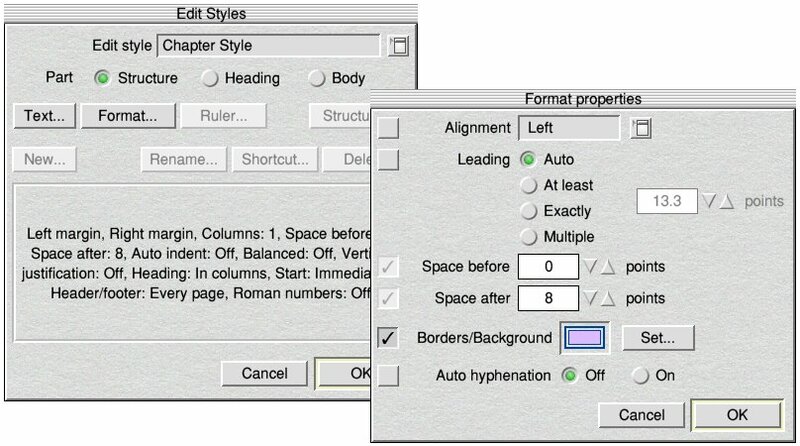 Word processing packages EasiWriter and TechWriter will gain a new style editor in their next version, namely 8.7. The new release, set to be made available in time for the South East show on October 20, will allow users to easily define various text styles, which can be applied to documents. 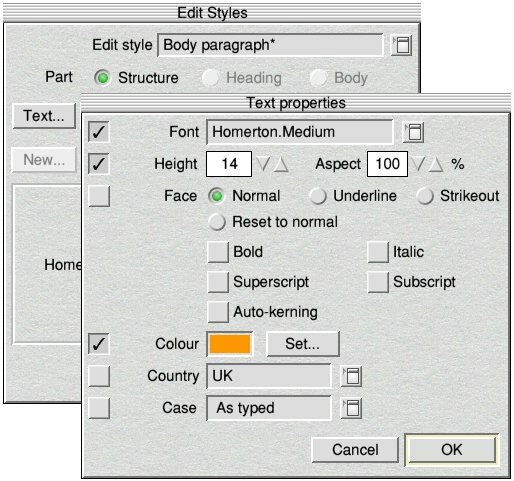 Typefaces, colours, text position and other settings can be chosen in the new style editor. This new functionality, pictured, was added after EW and TW users voted on the features they most wanted to see included in the word processor family. Word 2000 document export came top of the list but development of this feature has been put back to a later release. Having a style editor, commonly found in other DTP and WP programs, came second in the survey. The new version will also limit the width of a document's window to the actual width of the document rather than to the width of the screen - so that when the toggle size icon is used, the window doesn't expand to fill the width of the entire desktop. Upgrade prices will be announced soon. That's me sold, well done to Martin Wurthner for another extremely useful upgrade to this essential program. Coming as regular as clockwork despite the huge number of projects he is working on. pv: And that's not all! It sounds like it could be a good show! Ahh, yes - This is on my "must buy" list for the coming weekend. I've been using TechWriter a couple of hours a day over the last six weeks to prepare lesson notes on Vectors. With all of the specialist notation so readily to hand it really is a joy to use. Page generated in 0.0748 seconds.